Ensure that all the staffs comprehend the importance of being curious with emails. Not to automatically supply information, check who they send emails to prior to clicking "send". This should be a continuous process because problems are bound to change. Ensure that all the protections are up-to-date. Ensuring that defensive software is properly installed and functioning and programs are updated. This can prevent hackers from gaining access or finding weaknesses to the company's systems. 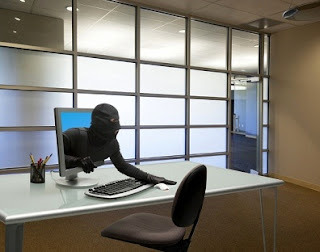 Make sure the office computers are guarded from theft. The main server should be locked away securely and they should be alarmed and adequately secured. It will be catastrophic if a person gets into your system and destroy your data. Make sure there is an effective back-up system tested routinely, stored correctly and taken regularly. Ensure all the data are correctly transferred especially the ones which are sensitive. Data can easily be protected on the move by the use of encryption. This means additional programs scramble data and that only a key (Password or a PIN) can typically unlock it. It is worthwhile to have an idea of the personal devices used by staffs especially if they are using them to connect to the business network. If the staffs are utilizing their own devices, the devices should be protected and properly secured. Photocopiers, printers and computers all store data even after everything is deleted. It is vital to find a reputable firm to dispose all equipment to make sure all the data in them is destroyed. By enhancing vigilance and implementing all these measures, you will greatly minimize cyber security threats to the company and safeguard the assets.